My Appointment | Lotus Spa | Book appointments online hassle free. 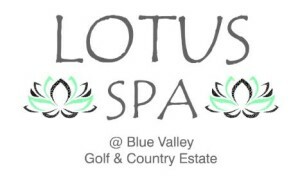 Lotus Spa is situated on one of the most beautiful golf courses in Johannesburg, Blue Valley Golf & Country Estate. We offer a variety of luxurious services, making sure each client that walks through our doors can look forward to a memorable and relaxing time. Lotus spa has Internationally qualified professionals on our team to ensure unmatched quality in all your treatments, while aiming to create the welcoming and caring environment you deserve. We pride ourselves on how we make our clients feel after spending time with us. We would like to welcome Matis Beauty into our salon. Matis was founded in 1936 in Paris by a cosmetology chemist, Doctor Mavro Mati. Today Matis is recognised worldwide as a beauty expert product. Matis is known for their innovative tailor-made skincare products and services that people have come to love and trust.